I just read this article and thought you might want to give it a read, too. It\'s called In memoriam: 6 Zaha Hadid architectural wonders you must visit now and you can find it here https://www.orbitz.com/blog/2016/04/in-memoriam-architect-zaha-hadids-greatest-works/. Architects are not often described as pioneers or rock stars, but Zaha Hadid was both, creating a legacy of dramatic museums and performance halls around the world that sparkle with natural light and swooping lines inside and out. Hadid, who was born in Iraq and lived and worked in London, was the first woman to win the Pritzker Prize, the Nobel Prize of architecture. While she also designed apartment buildings and even fire stations, Hadid is most famous for her public buildings. 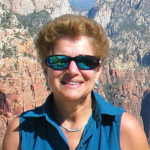 She was 65 when she died unexpectedly in March 2016. 1. 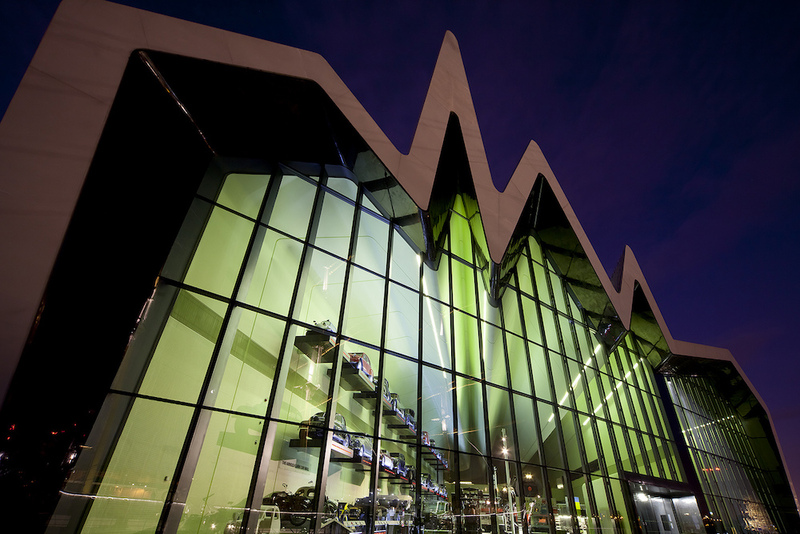 Riverside Museum, Glasgow, Scotland – This Glasgow transportation museum displays everything from vintage steam trains and sports cars to modern skateboards, along with exhibits on Scotland’s seafaring history. It’s all packed inside a ribbed, five-peak structure whose wall of windows overlooks the River Clyde and historic sailing ships. 2. 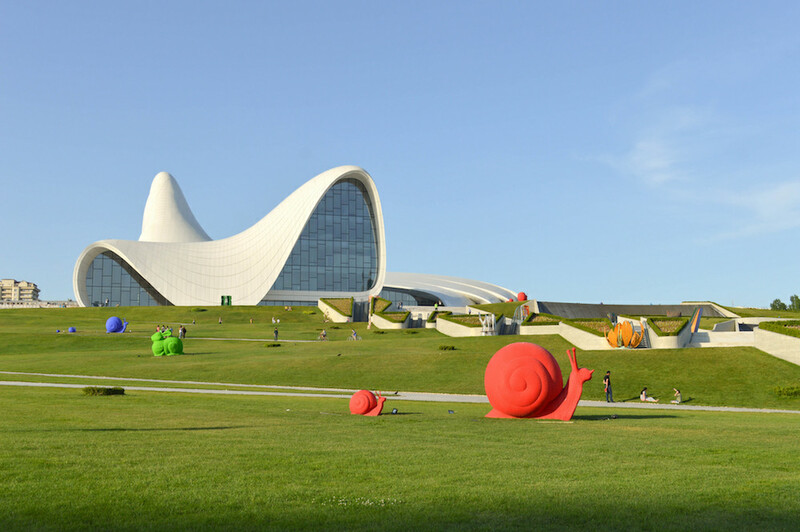 Heydar Aliyev Cultural Center, Baku, Azerbaijan – A medley of curved lines offsets a huge plaza overlooking the city of Baku, all of it bright white, inside and out. Even the museum floors are white, which makes the mannequins wearing traditional handmade dress literally “pop” with color. Several galleries have curved walkways and walls, where artwork hangs from invisible filaments, seeming to float in midair. 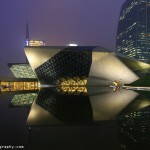 It is the country’s main history and art museum. 3. 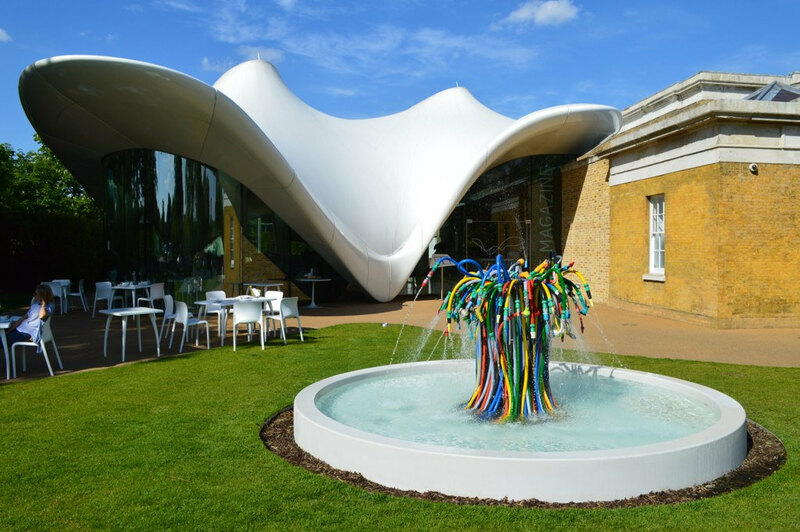 Serpentine Sackler Gallery, London – The two “wings” of this London museum house exhibitions of art, architecture and design, ranging from historic to futuristic. One wing literally embraces a 200-year-old gunpowder storage building and becomes its roof. The Hadid addition essentially doubles the museum’s exhibition, bookstore and restaurant space. 4. 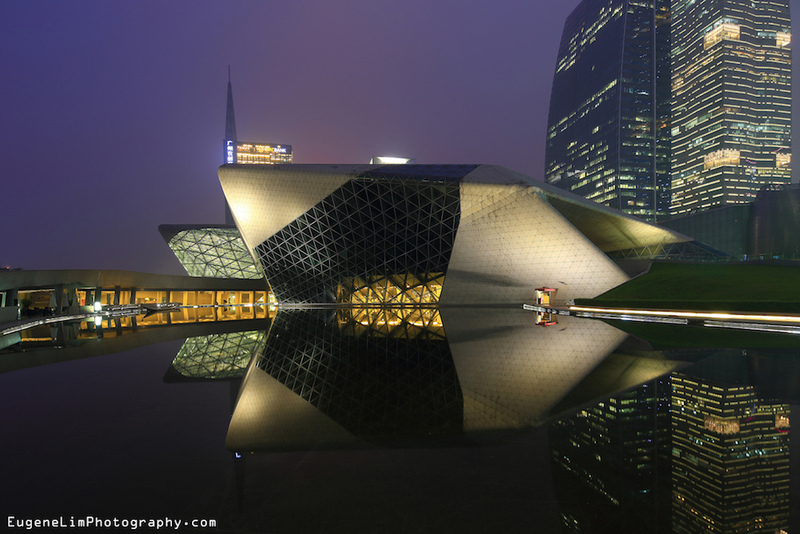 Guangzhou Opera House, Guangzhou, China – Latticed glass overlooks the Pearl River and brightens lobby areas in Guangzhou‘s gorgeous opera house. The design is said to be inspired by river rocks. Performances here go beyond traditional Chinese opera to Western operas and Broadway musicals. Theater performances, including Shakespeare, are in a “black box” theater within the complex. 5. Phaeno Science Center, Wolfsburg, Germany – This science museum on Wolfsburg seems to hover above the ground, an optical illusion that hints at exhibits inside, including a flying carpet that hovers on a cushion of air. It’s one of more than 200 inter-active exhibits in this small town, about one hour from Berlin, that has made Phaeno one of the most popular in Europe. Okay – Wolfsburg is not so small – this is the headquarters of Volkswagen. VW Welt (VW World), with multiple pavilions dedicated to VW brands including Porsche and Bentley, and others devoted to science and art, is another must-see. 6. 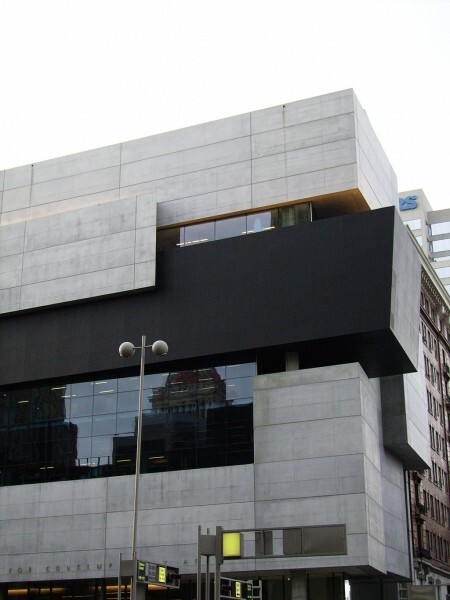 Rosenthal Center for Contemporary Art, Cincinnati – In addition to modern and contemporary paintings and sculpture by artists including Andy Warhol, this Cincinnati “black box” theater features film screenings, concerts and plays. The building itself is more cubist than swooping, as befits some of the art on exhibit. At the time of her death, Zaha Hadid was working on additional museum commissions, including projects in Miami, Italy and China. Her fans hope her 400-person design firm, Zaha Hadid Architects, will complete them.